At Zesty we’re working towards a big goal. We want to empower every patient visiting hospitals around the world with digital tools to manage their care. We think it’s vital that patients own and control their own medical records and can choose which services they’d like use and what data they’d like to share, based on dynamic and informed consent. 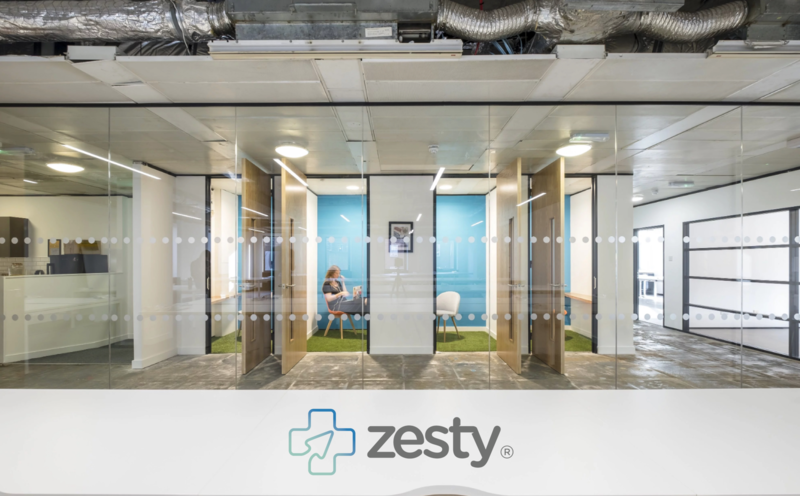 From booking appointments, to virtual video consultations – the Zesty platform is helping tens of thousands of patients on their journey through the NHS. As each patient uses our service they build their own personal health record. We think this is the future. We’ve got some tough problems to solve. Much of healthcare IT is outdated, on premises infrastructure. Systems don’t interoperate. Standards vary. We’ve built an elegant system that consumes legacy data and powers cutting edge cloud based services – but we’re just getting started. Our vision is a transaction enabled personal health record (PHR), supported by a world class API stack that allows a multitude of disease specific or general apps, devices and IOT sensors to effortlessly communicate with patients and the wider legacy systems within healthcare. Working at Zesty is challenging, but immensely rewarding. Our platform makes a real difference to people when they need it most. As a small company, our next hires will have a real impact on all areas of the company and help to define our culture moving forwards. We’re passionate about creating an inclusive, respectful and dynamic work environment, where every team member has a voice and a chance to shape the direction of the company. We’ve won and been shortlisted for numerous awards and are now growing fast. With 15 open roles today, we’d love you to consider working at the cutting edge of digital health in the UK and beyond.